Lately, the ads of L'armoire de Lana for Beesline have been all around town. Good for her, already her shop on her website boasts many collaborations - actually, being a blogger myself, I get asked to do brand endorsements-ambassadorships-representations several times a week. Rarely do I ever accept associating myself to a brand (Jaune was one collaboration, and Ramadaniyat Beirutiya was another as it being an NGO I wanted to support). Of course a lot of times the pairing brand-influencer makes no sense at all: A famous sports brand named a known blogger as its ambassador. The problem? The blogger in question is obese! 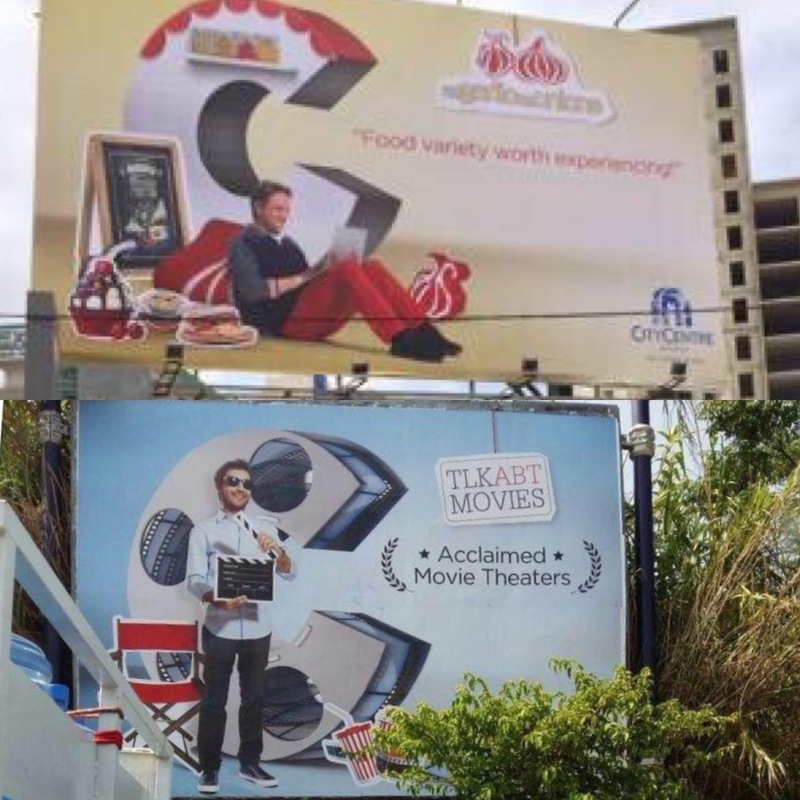 Some years back City Center mall launched a collaboration with bloggers such as Anis Tabet for its movie cinemas or Anthony Rahayel for its food court, the collaboration did make sense as each was specifically being used in their specialized domain. However, if this match was logical, I wonder if the values of the brand and its image coincide with that of the influencer or blogger and if they align together for them to tie their public images with one another - often times I find they do not. But my question about influencers, bloggers, online personalities goes deeper - are they (we, if I am to include myself as many brands offer me collaborations and ambassadorships) that famous? Famous enough for brands to capitalize on us to attract the average Joe or average Hussein or average Salma or whoever? I am not doubting that within limited spheres, we have notoriety, but let me tell you this incident: An ex student of mine got married and her husband was tutoring a colleague to pass some sort of required exam required by her company. She was bragging that her brother was a famous blogger and she name dropped him to impress. She was met with a blank stare - even if the person tutoring her was a branch manager in a reputable company whose wife had a master's in advertising. So my question is - whereas I know brands want to "use" influencers (as tools - as someone said once in a conference) but are we that known? That visible? That immediately recognizable? In the end to someone passing near a pharmacy that has the Beesline ad, all he or she sees is a lovely girl by the swimming pool. Lana who? Swimming pool is considered as one of the most luxurious facilities. But having a grand swimming pool in your house is not everything, as you have to maintain and clean it, in order to keep the appeal of the pool alive to everyone.